This freestanding cooker gives you the flexibilty to prepare several courses simultaneously with an extra large multi-function oven, combined with an integrated 5 burner gas hob. No more clutter with a convenient storage compartment or storage drawer for all those oven accessories. The image is intended to display the storage compartment only. Durable, hard wearing, easy to clean cast iron trivets sit on the one piece hob. The trivets have a linear design so that you can slide pots and pans across them without having to lift them. A range of gas burner sizes and powers for greater convenience and flexibility. 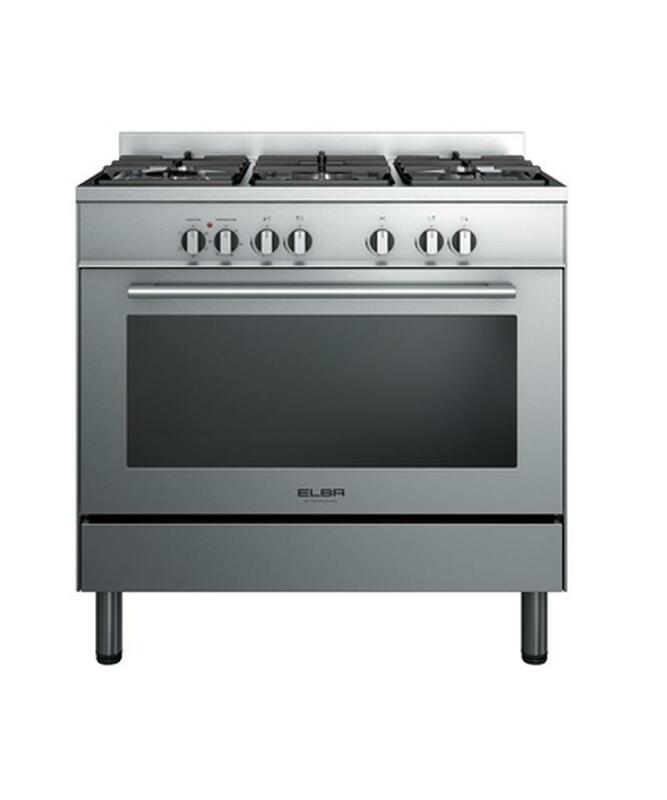 Large, small and medium burners will suit any cooking style, from a fast stir-fry to a slow simmer. Powerful triple ring burner produces maximum heat, fast. The secret to searing a steak, or just slip on the wok stand for a stir fry.